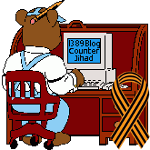 Pro-ISIS group on Twitter says ‘Use Ferguson flames to fuel terror in America’ — 1389 Blog - Counterjihad! An ISIS-linked group calls for lone wolf attackers to use the Ferguson riots in America as cover for their activities. A group linked to the Islamic State in Iraq and Syria (ISIS) terror organization is calling for lone wolf attackers to use the Ferguson riots in America as cover for their activities. O lone mujahid, you must use the breakdown of security in #Ferguson to increase the burning in America. They are squabbling over worldly [matters], so you send them to hell! #ISIS. A grand jury in the Missouri town decided Tuesday there was not enough evidence to indict police officer Darren Wilson in connection with the shooting death of 18-year-old Michael Brown. The black teenager was killed after he robbed a store and then physically attacked the police officer while he was in his vehicle. The story of those events was told by 60 different witnesses — nearly all of whom were black as well — and three forensic pathologists who performed separate autopsies on Brown’s body, including one private pathologist retained by Brown’s family. It was heard by a grand jury comprised of nine white and three black jurors over a period of 100 days, who concluded the evidence overwhelmingly exonerated the police officer on all five charges of possible homicide brought before the panel by prosecuting attorney Robert McCullough. But it wasn’t enough, and within minutes of announcing the decision of the jurors and despite appeals for calm by Brown’s family and even President Barack Obama who spoke on national television from the White House, Ferguson went up in flames, and protesters in numerous other major cities in America began to take to the streets in solidarity. Rioters in Ferguson look suspiciously like those in the streets of Judea, Samaria and Jerusalem to this journalist who has covered violence in the Middle East. Many covered their faces with scarves and ski masks so their features could not be identified in media photos, and attackers were hurling rocks, bottles, firebombs (Molotov cocktails) and shooting fireworks at police. Some also fired actual guns — more than one hundred shots were fired, in fact. But no police officer fired a gun, officials and media reported, although tear gas and smoke was used in an initial attempt to clear an area near the Ferguson police and fire department headquarters. Not that this stopped rioters from attacking others and doing their best to destroy their community, some of them practically dancing in glee during the process. A gang that came upon a Fox News camera crew filming looting at a group of stores in Ferguson instantly beat up the camera man and smashed his camera on the spot as the film was rolling and while the shocked correspondent was voicing his report. The scene suddenly went black and the network switched to a second location, but not before the anchor team tried repeatedly to re-establish contact — unsuccessfully — with the news team that clearly had just been attacked. Footage of the looting was later replayed on Fox News network’s The Kelly File and then posted on the Internet, where it quickly went viral. The correspondent resumed reporting — clearly shaken and somewhat hoarse — within minutes, off-camera and using his cellphone camera to cover the violence. He told the anchor team that his cameraman was “okay” but revealed little else. Two police cars were incinerated and a dozen buildings were torched in Ferguson, burnt completely to ashes. One police officer was shot and wounded; his condition and identity is unknown, probably in order to ensure his future safety. O supporters of the Islamic State in America, what is happening in #Ferguson is a valuable opportunity that will not return. Rise up and engage them with themselves, away from the mujahideen. Spill their blood in the roads and in the neighborhoods. The group is telling ISIS supporters to distribute ISIS videos — especially in the English language — on trending Twitter hashtags related to events taking place in Ferguson, Missouri. ISIS terrorists and those who support their activities are continuing to incite in tweets online after a violent night that left a police officer with a gunshot wound and resulted in two incinerated police cars and a dozen torched commercial buildings in Ferguson. Obviously, the above quotations translated into English exceed the Twitter maximum of 140 characters. I do not have the original tweet(s) in Arabic. It is likely that the Arabic-language text was embedded in a graphic element that was tweeted using Twitter’s picture service. Homeland Security Today has more.